Inter general manager Beppe Marotta has allayed fears over the delay in securing a contract renewal agreement with Real Madrid transfer target Mauro Icardi. The 25-year-old has established himself as one of the most prolific forwards in Europe since joining the Italian giants, scoring 122 goals in 208 appearances. Despite the fact that he’s going through a goal drought currently which now stretches over seven Serie A games, there is no doubt that he remains a fundamental figure for Inter as club captain and their talisman up front. 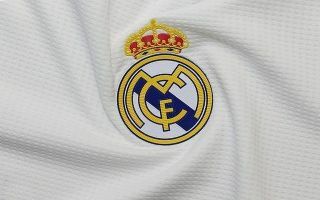 As noted by Don Balon, there have been ongoing rumours of a raid from Real Madrid, with the report suggesting a €110m offer would be made to prise the Argentine international away from the San Siro. However, Marotta has insisted that there is no concern within the club over reaching an agreement on a new contract with Icardi. “The renewal for Icardi is absolutely not a problem,” he told reporters, as noted by Calciomercato. “We’ll clarify the situation with [coach Luciano] Spalletti, because we all want what is in Inter’s best interests”. With that in mind, that could force Real Madrid to look elsewhere if Icardi does go on to sign an extension, as ultimately that would suggest that he’s happy to commit his future to the Nerazzurri too. However, until pen is put to paper, speculation will undoubtedly continue to suggest that Real Madrid could make a summer move. Nevertheless, given Karim Benzema has now scored 18 goals in 37 games so far this season, coupled with seven assists, there is an argument that Santiago Solari has helped him rediscover his best form and that the 31-year-old should still be the first choice up front for the Spanish giants.